Home Oil map scans from David Aldred. 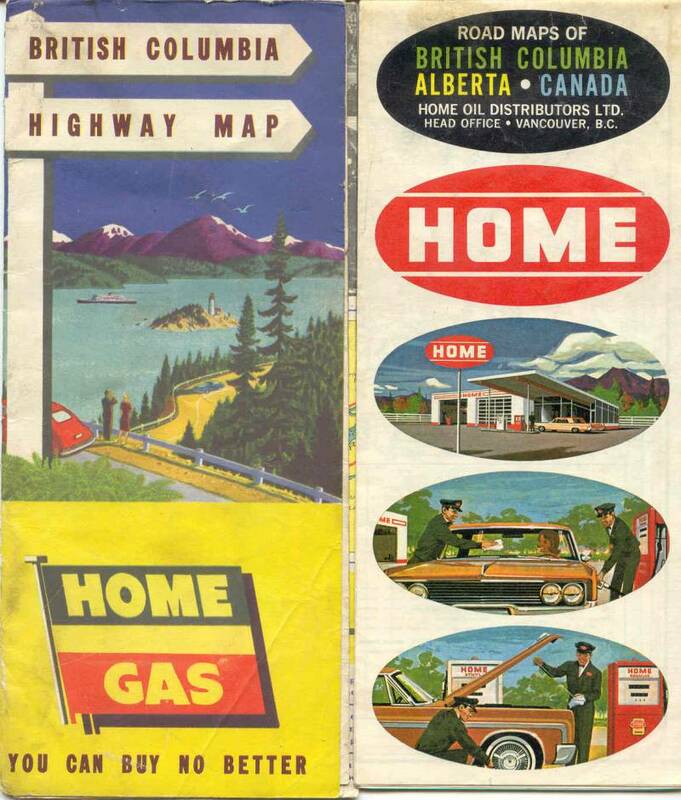 Home Oil British Columbia map from around 1970. 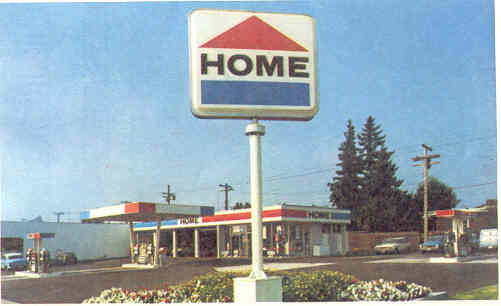 Home Oil map scan from the 1970s. From David Aldred. primarily in Vancouver and the surrounding area. Their first logo was a flag and was used through around 1950. The red oval logo was then used between appx. 1950 and 1970.